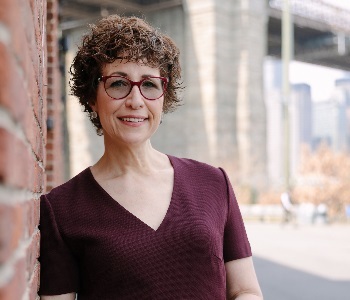 As a recognized advisor and thought leader, author Amy J. Radin advises companies big and small on forging new paths to innovation. She shares her insider knowledge in this interview with Monster. Today’s fast-changing business environment requires lightning-quick decisions. Yet with so much riding on revenue growth, it’s difficult to move beyond known business models and adopt a new mindset that drives innovation. Enter Amy J. Radin. As a nationally recognized Fortune 100 Chief Marketing and Innovation Officer, Radin has served as adviser and investor, board member and thought leader, enabling big and small companies deliver innovation for sustainable, business-changing impact. Organized as a practical guide, Radin’s book offers a roadmap for leaders, or change makers, to forge forward, while navigating the complexities and uncertainties and risks of implementing innovation. “Success is happening for those who adopt a new mindset, tactics and commitment, and who establish their purpose,” says Radin, who graciously shared her insights, encouragement and field-tested business advice with Monster. Q: You help companies advance their innovation priorities. That’s a wonderful phrase. Is that a more difficult task than it was a decade ago? A: One of the findings of my research among dozens of corporate innovators, founders and investors as I developed the content for The Change Maker’s Playbook is how much consistency there is in the questions people are asking as they were a decade ago, yet at the same time how in a world of great uncertainty, complexity, ambiguity and speed executing can be more challenging. Q: Your book defines change makers as key to innovation. What makes someone a change maker? A: Consistently, change makers are active—almost constant—exploring and gathering insights to uncover new market needs. They are driven by a sense of purpose beyond bottom line impact—there is meaning to their work and they want to have an impact. Change makers are resourceful— they find ways to make it happen--even when dollars are not flowing. One founder I know gathered sufficient materials from a junkyard to create a proof-of-concept that earned him funding for a medical device prototype. That’s resourcefulness. He was unstoppable. Also, change makers know that innovation is almost always non-linear and requires iteration to figure out. To do this, they always collaborate. The idea of the “lone wolf” innovator is a myth. Finally, change makers are able to connect the insights they gather and what they learn from prototyping to the realities of a business model, so what they do can be offered at scale to the people they want to serve. Q: How can companies be more results driven? A: When it comes to innovation, companies have much work to do to advance a culture of innovation where change makers can contribute and thrive. Google did research a few years back looking at what made nearly 200 teams examined successful. It came down to these factors: Dependability, Structure and Clarity, Meaning, Impact, and providing the Psychological Safety for people to feel comfortable taking risks and stepping outside the status quo. Companies must also evolve their metrics. One of the best ways to kill an innovation is to use the metrics of a mature business, at the wrong time, to assess success or failure. Q: Workers are asked to continually evolve and reinvent. What about leaders? What challenges do they frequently face in leading transformational change? A: There is a special role that leaders must play to ensure their businesses stay relevant and that they can attract and retain the best people for whatever it is they are trying to achieve. One of the biggest barriers for leaders is that they became successful doing things a certain way. That way may no longer work to take on the tremendous disruptions facing every sector of the economy. Being able to let go of what worked before and accepting that it won’t work any more is a big deal. And by the way, startup employees run into this challenge too; this is not just an issue at established, traditional companies. Startup teams may fall in love with their idea and not want to change it, even when facing poor market response. Q: Results are often tied to known behaviors and products that have delivered success before. How can leaders shift from known behaviors and products that have delivered success before to being innovative and results-driven? A: Continuing on from the previous question, the way to let go is to spend time in the market. Get out with users and customers, go to events, build a strong network of people who are different than they are. Keep getting exposure to new ideas, new ways of thinking and doing things. Most of all, before dismissing a new way of doing business because of past experience, stop and ask, “Wow, how did you come up with that? Or, “How did you figure that out?” Or any variant of questions that keep their mind open to understanding that new perspectives bring new insights. Also, keep learning in more traditional ways—reading, attending workshops, or even going back to school. There are so many easy, flexible, and even free ways to keep learning and pick up new skills and perspectives. Q: You write about the need for companies to define a clear purpose—one that’s aligned with their culture. Why is that relationship so vital? A: Purpose is the fuel that keeps change makers going through the tough challenges they face advancing anything new that challenges existing products, services and practices. Without purpose, it’s easy to run out of steam. A paycheck is simply not enough. Purpose also becomes the basis for differentiation, and is becoming more and more important to customers today, especially millennial customers. Q: Will workers remain essential to driving innovation—even as we become more technology-driven? A: Absolutely. Innovation is not just about technology. Tech is an enabler. Innovation is about gaining insights into unmet needs and delivering upon them in ways that make economic sense, are feasible, and can reach the people you want to serve. Innovation helps get there, and makes what used to seem impossible, possible. Q: You advocate for competency-based interviewing as a hiring best practice. Is that similar to behavioral interviews? A: I don’t like buzzwords, so I’m not sure. But I will say that most people are terrible at interviewing or being interviewed. The best interview question is one that starts with “Tell me about a time when…” and then completes in fill-in-the-blank fashion with the 3 or 4 top requirements you see as critical for a role. Tell me about a time when you had to deliver under a ridiculous deadline? Tell me about a time when you had to coach and develop a high performer, etc. At all costs avoid questions that allow for speculation, such as “What would you do if …” Encourage candidates to take you to “the scene” and be willing to say “I” not “we,” as we are trained to do, so you can understand how they acted, responded, felt, behaved. Q: How do you see companies infusing their customer interactions with greater purpose? A: It starts with the leadership team establishing why the company exists. This week I met with a new client who wants help with their transformation. They have a terrific product and a loyal customer base. But the world is changing and they must adapt to retain what they have built over nearly 80 years. The CEO could not readily answer the question, “What is your purpose?” Finding the answer will be step one to defining their transformation path. Q: Do you have any mantras to help leaders drive innovation in their places of work? We sometimes felt as though we were banging our heads against many walls as we found ourselves on the bleeding edge of change—things that seemed obvious to the team and where customers were giving us ample evidence to support our recommendations, but where people inside were wedded to the status quo. Staying focused on the potential, and trying out different ways to bring others along is a critical attitude that will help an innovation team succeed. Amy J. Radin is the author of The Change Maker’s Playbook (City Point Press.) As a nationally recognized Fortune 100 Chief Marketing and Innovation Officer, advisor, investor and board member, she has been at the forefront of rewiring brands for growth. Radin now applies her expertise working with executives to reduce the ambiguity and uncertainty and realize the benefits of innovation. She built a track record of success moving ideas to performance at Citi, American Express, E*TRADE, and AXA.